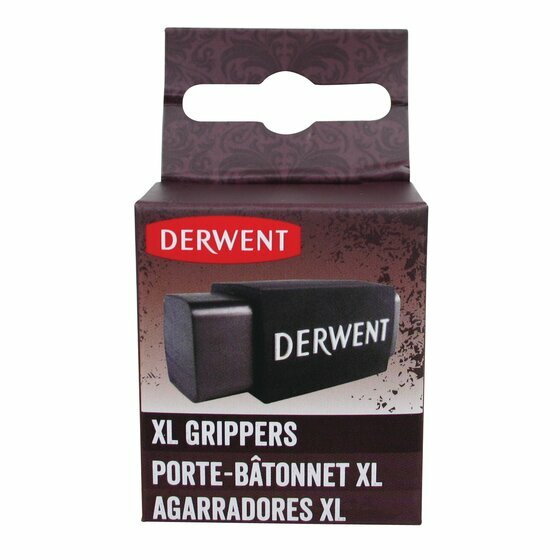 Derwent Inktense Blocks and XL Blocks can be messy to use but Derwent Grippers offer the perfect solution. Made from rubber they slide onto the block, holding it securely, making it comfortable to use while you are working and keep your hands clean! Derwent Inktense Blocks and XL Blocks can be messy to use but Derwent Grippers offer the perfect solution. Made from rubber they slide onto the block, holding it securely, making it comfortable to use while you are working and keep your hands clean! Available in two sizes, the small grippers come in a pack of 3 and the XL grippers in a pack of 2.